Colin Fairweather heads a quintet of Irish golfers hoping to finish inside the top 20 after Friday’s final round and make it to next month’s Second Stage of the European Tour Qualifying School. As Stuart Grehan, Brian McElhinney and Kevin Le Blanc missed the 54-hole cut at Frilford Heath in Oxfordshire, Fairweather shot a level par 72 to share fourth place on four-under-par, two off the lead, at a venue where the top 20 and ties qualify. Exactly 30 players go into the final round on level par or better with Naas’ Conor O’Rourke (72) and Ballymena’s Dermot McElroy (71) tied for ninth on two-under. Royal Dublin’s Niall Kearney made five birdies in a 69 to move up 25 places to tie 16th, a shot inside the top 20 and ties, on one-under. Only those players within seven shots of the final qualifying place (currently level par) make the 54-hole cut which means that Moyola Park’s Chris Selfridge got through with a shot to spare on six-under after a 70. The 25-year old has been hampered by injury for the best part of two years and may need a round in the mid-60s to keep his card hopes alive. 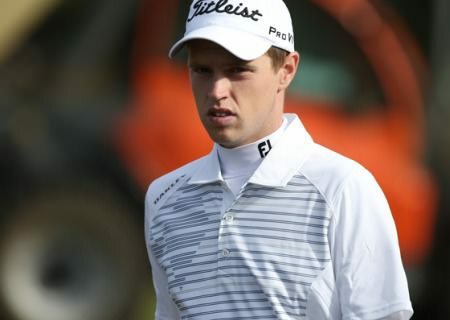 Tullamore’s Grehan, who was making his professional debut, birdied his final hole for a 77 but while he missed out by just one shot on eight-over, four birdies were not enough to cancel out five bogeys and two double bogeys. McElhinney shot 78 for the second day running to finish seven shots outside the cut mark with The Island's Kevin Le Blanc, completely out of sorts since he turned professional, back in last place. In Italy, Gerard Piris Mateu continued his impressive run to take a two-stroke lead into the final round at the First Stage Qualifying Section D Bogogno Golf Resort. Rosapenna’s Ruaidhri McGee topped the qualifiers at Wychwood Park. Picture © PGAEuroproTour..comAnother five Irish golfers are through to November’s Second Qualifying Stage of the European Tour School in Spain. Marching on. Ruaidhri McGee at Las Colinas. 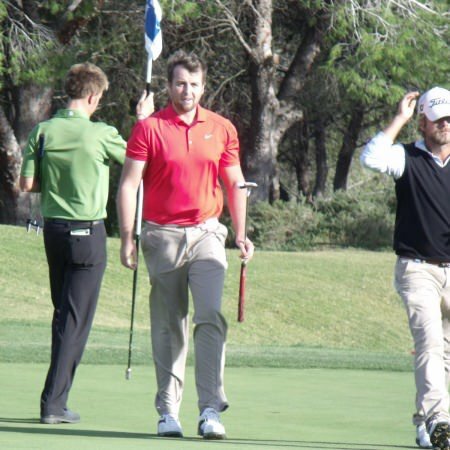 Picture courtesy: Twitter.com/gmacespanyaRosapenna’s Ruaidhri McGee made it look easy as he cruised through to the Final Stage of the European Tour Qualifyng School with four shots to spare. Kevin Phelan is just two strokes outside the qualifying places at the European Tour Q-School in Catalonia. Picture: David Lloyd / www.golffile.ieBallymena amateur Dermot McElroy missed the cut but Kevin Phelan, David Higgins and Ruaidhri McGee still have a chance to win their European Tour cards at the Final Stage of the Qualifying School in Spain.